If the city's fiery fall foliage has you daydreaming about butter beer and boozy potions, mark your calendar for Hubbard Inn's 13 Days of Wizardry, a nearly two-week celebration of all things Harry Potter that kicks off on Friday, October 19. The event runs through Halloween and includes themed parties, a movie marathon, trivia, a mixology class and more. 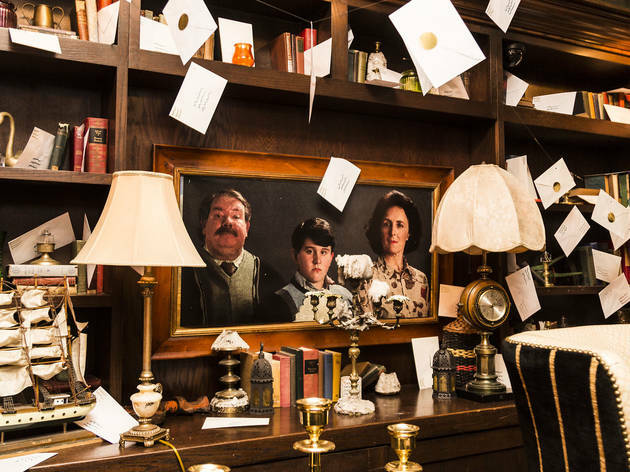 The River North bar's interior is decked out in photo opportunities, including tributes to Platform 9 3/4, the Great Hall, shops on Diagon Alley and even Harry's bedroom under the stairs. As guests work their way through the space, they can sip themed cocktails like the Goblet of Fire, a flaming mixture of vodka, blue curacao, lemonade, moonshine and cinnamon. If you fancy yourself a Slytherin, order the namesake drink with gin, lime, simple syrup and a lime sherbet float. Drink up, because with every themed drink purchased at each event, you'll be entered to win a VIP experience at the Wizarding World of Harry Potter at Universal Orlando, which includes flights, hotel and weekend passes for two. It's worth noting that the winner must be present when the prize is announced on October 31 at an 8pm event. Highlights of the 13-day extravaganza include the Muggle Movie Marathon (featuring various Harry Potter films) on October 22 and 23, a special three-course dinner on October 25, Butter Beer Brunch on October 28 and a Potions Mixology Class on October 29. If you want to check out the bar without buying tickets, stop in on weekdays from 4 to 7pm for the Happy Hour That Must Not Be Named, where you can throw back $10 themed cocktails, $1 oysters, $5 martinis and more. Check out a complete roster of events here. 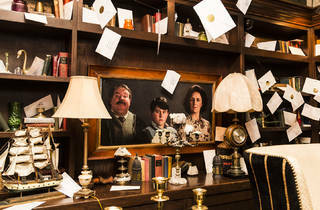 Take a look around the pop-up bar below and look out for floating candles and envelopes, the cupboard under the stairs and portraits of the books' most famous characters.